In all of their different incarnations, the Men in Black usually have one main purpose: to muzzle witnesses of strange, paranormal phenomena. The Puget Sound in Washington state, where the Maury Island sighting occurred. It&apos;s possible that the story of the Men in Black, the mysterious figures that would become the subject of fascination in UFO conspiracy circles and eventually break into mainstream popular culture, can be traced back to one day: June 27, 1947. It&apos;s quite possible that it all started with a man, a boy and a dog on a boat. 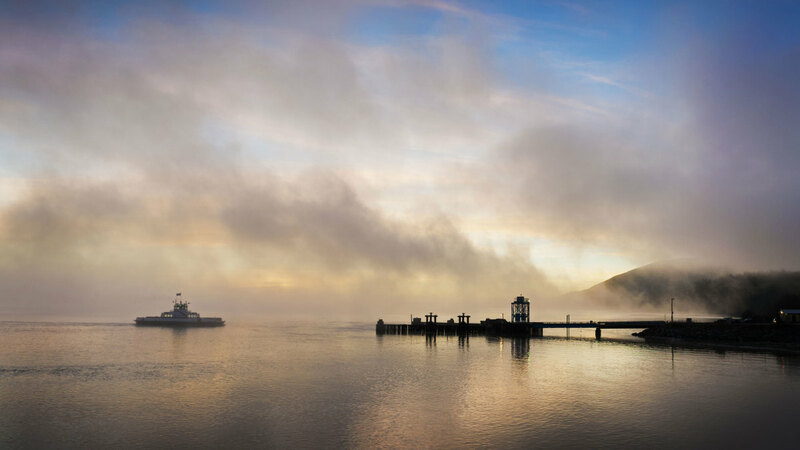 As the story goes, Harold Dahl was on a conservation mission on the Puget Sound near the eastern shore of Washington’s Maury Island, gathering logs, when he saw six donut-shaped obstacles hovering about a half a mile above his boat. Before long, one of them fell nearly 1,500 feet, followed by raining, metallic debris, some of which hit Dahl’s son, Charles, on his arm, as well as the family dog, who didn’t survive the ordeal. Dahl was able to take some pictures of the aircraft with his camera, which he later showed to his supervisor, Fred Crisman. A skeptical Crisman went back to the scene to look for himself and saw a strange aircraft with his own eyes. The following morning, Dahl was visited by a man in a black suit. They end up at a local diner, where the man was able to recount in extraordinary detail what Dahl had just experienced. 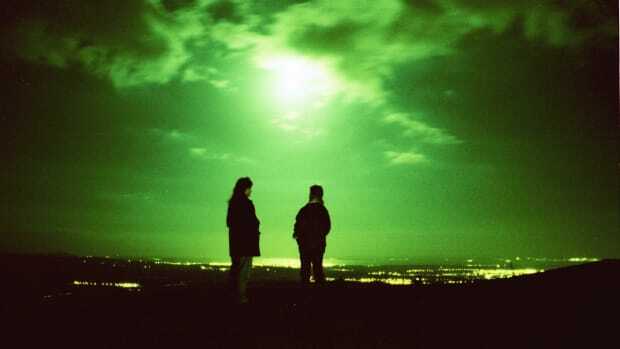 “What I have said is proof to you that I know a great deal more about this experience of yours than you will want to believe,” the man said, according to author Gray Barker’s 1956 book They Knew Too Much About Flying Saucers. Dahl was told not to speak of the incident. If he did, bad things would happen. The supposed events of Maury Island have continued to fuel conspiracy theories to this day, even though a U.S. government investigation deemed it a hoax after Dahl and Crimson later admitted as much. In particular, the mention of the man in the black suit would evolve into a key obsession for UFO enthusiasts and spread into American popular culture, thanks to a comic-book series and a blockbuster movie trilogy. 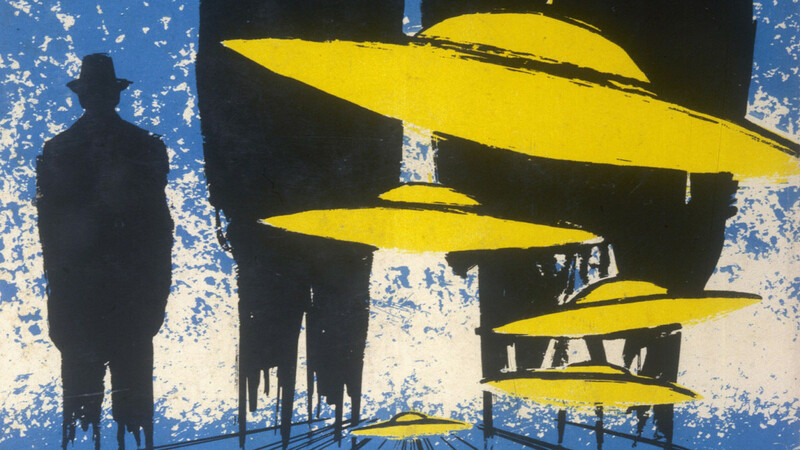 The cover of Gray Barker&apos;s book, They Knew Too Much About Flying Saucers. In all of their different incarnations, the Men in Black (MIB) usually have one main purpose: to muzzle witnesses of strange, paranormal phenomena. They almost always wear black suits and hats with dark sunglasses, drive black cars and arrive in groups of two or three. Some describe them as one would an FBI agent, while others recall the MIB as having strange appearances, sometimes with supernatural features like glowing eyes and strange complexions. So how did we get from Harold Dahl to Will Smith? "The transformation of the story from a first press report to a folkloric tale to a comic book and now to a film illustrates how the myth is transformed,” wrote Phil Patton in The New York Times around the time the first Men in Black movie was released in 1997. “That process is not unlike the children&apos;s game of &apos;telephone&apos; or what the literary critic Harold Bloom calls &apos;innovation by misinterpretation.&apos; "
The report states that Dahl and Crimson reached out to a Chicago magazine in an attempt to sell their story, and the magazine editor then contacted Arnold, hoping he could help verify their account. Arnold then “summoned two officers of Army A-2 Intelligence to aid in the investigation of Dahl and Crisman&apos;s claim,” according to the report. 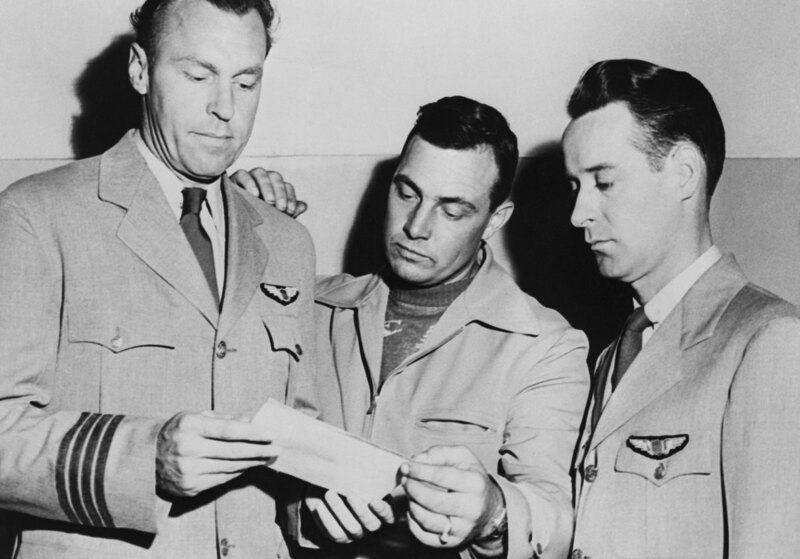 Kenneth Arnold, center, looks at a photo of an unidentified flying object they sighted while en route to Seattle, Washington with (L-pilots E.J. Smith and Ralph E. Stevens. In July 1947, two Army A-2 Intelligence officers came to investigate. After leaving in their B-25 the next day, the plane caught fire and crashed, killing both officers and doing nothing to quiet UFO conspiracists. 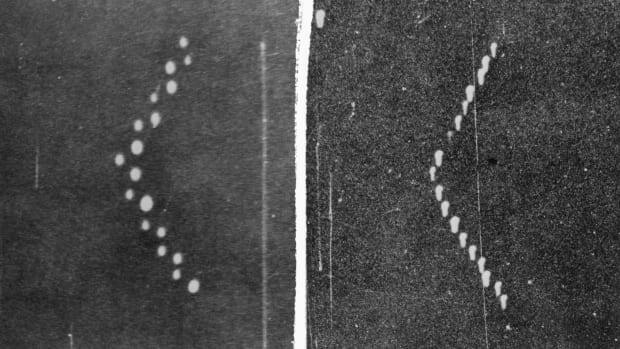 But the Maury Island story gained little notice in the UFO community until Barker’s 1956 book, in which he wrote of his “file on the Maury Island case” that largely consisted of the writings by Ray Palmer, the Chicago magazine editor referred to in the government’s report. Barker went on to connect the dots between “the man, who wore a black suit” who took Dahl to breakfast and three similarly dressed men who allegedly visited a young UFO enthusiast named Albert K. Bender in 1953. It was Bender who “almost single-handedly ushered in the plague of the Men in Black—just as Arnold inaugurated the era of the UFO,” Ufologist Nick Redfern wrote in his book The Real Men in Black. But it was Barker’s book that told Bender’s story, thus introducing the concept of the MIB to a much wider audience. 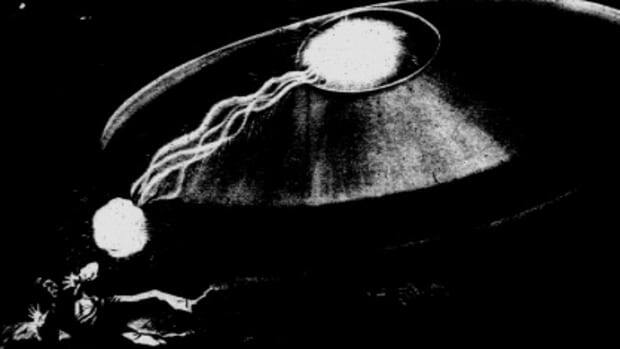 READ MORE: America&apos;s First UFO Sighting. Bender, in his own 1962 book Flying Saucers and the Three Men, described the MIB in much more frightening language. “They floated about a foot off the floor… They looked like clergymen, but wore hats similar to Homburg style. The faces were not clearly discernible, for the hats partly hid and shaded them… The eyes of all three figures suddenly lit up like flashlight bulbs… They seemed to burn into my very soul as the pains above my eyes became almost unbearable,” wrote Bender. Barker would go on to write several more books related to the paranormal and UFOs, including 1970’s The Silver Bridge, which helped spread the story of another popular paranormal figure, the creature known as Mothman. But how much of his writing was done in good faith has been called into question by many in the UFO-research community. Regardless of Barker’s motives, countless MIB encounters have been reported since They Knew Too Much was published nearly 60 years ago, and at least one more movie is on the way.